The last couple of days leading up to this I have fully been a myth & it was about time I hit the studio and banged out a quick mix for those who have missed out on a “percy ingle” mix-n-blend from me. So, with Soundwave around the corner, I did a little mix for the new boys on the block in the lead-up to their rave on the 6th October @ The Alibi. I also did the advert for them on a quick “fly-by” ting. Click the promo flyer to download the mix. Enjoy! So now we have an official hood video for ‘Destruction’ a.k.a the ‘Spartan’ vocal by man like Kozzie. (Look carefully and you might see a little cameo from myself.) It’s bein hosted on the MTV website courtesy of the ‘hoods journalist’JP and has been flung up on Youtube for the masses. Big up Jawzy & S-Star TV for filming this epicness. The instrumental should be with you soon. P.S. it’s never a free download thing. So dont come around here looking for 1. So we have a new grime rave on the block and it’s called Soundwave. It all kicks off on Wednesday 6th October @ The Alibi with all of the grime DJ’s from Urban FM TV alongside Score 5 & Scope from Rinse FM and it’s FREE ENTRY!!! Could you even ask for more? I did a quick refix of Sukh Knight‘s “Born Invincible” just before the Chockablock Producers Special back in May. Gave it some radio play & before you know it, M.I.K wanted to grace it for a quick freestyle. And you should already know what happens when Spooky & M.I.K link up. Download “Straight Jacket Freestyle” from the Soundcloud player below! Catch me in Nottingham this Friday for Sublow Sessions @ the Image Bar. So here’s what forthcoming on Oil Gang in the near future…. Don’t forget Oil Gang 001: Spooky – Murderer EP is still out on vinyl & digital NOW! All links to buy the EP can be found here. & CATCH ME FOR FREE DOWN THE ALIBI TOMORROW! So, on the final day of August, I decided to run up on Urban FM & do a ‘Roots of Grime’ show, going way back to 2002 when grime began. Forgive me if I was rusty in parts of the set LOL. Big up Valhalla for the recording!!! CLICK THE URBAN FM TV LOGO OR CLICK HERE TO DOWNLOAD THIS EPIC SET! P.S. 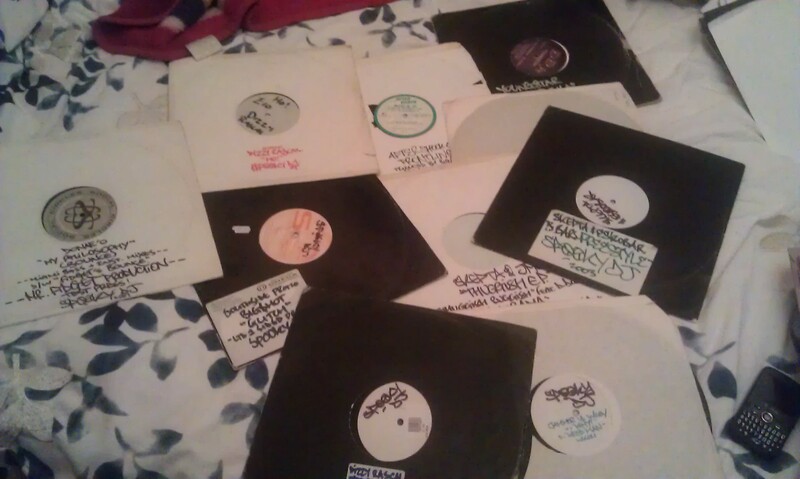 I AM NOT SELLING ANY OF THESE VINYLS OR CONVERTING THEM TO MP3. SO DON’T ASK.